Wilk was painter and printmaker of semi-abstract images. 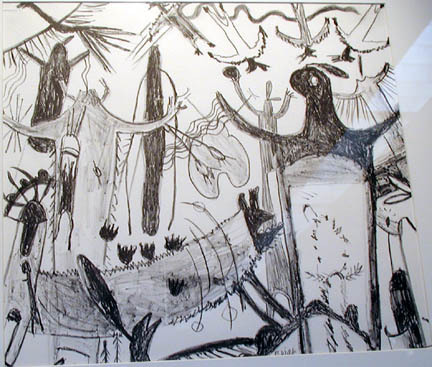 Her painting and sculpture were influenced by images of ancient art, particularly the cave art in Africa, France, and Spain as well as the art of Native Americans. Also a ceramicist, weaver, and filmmaker, she was a Master Teaching Artist for the CT Commission on the Arts and President of the CT Chapter of the Women's Caucus for the Arts. Wilk, Barbara, “Abstraction,” Westport Public Schools Digital Collections, accessed April 25, 2019, https://collections.westportps.org/items/show/576.